The business units comprising industrial solutions can offer an array of services to our clients. 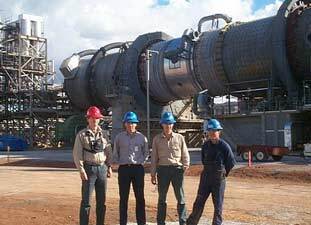 ThyssenKrupp Resource Technologies (TKRT) provides additional mineral processing expertise which complements the UMATAC offering. TKRT is equipped with a state of the art laboratory in Germany and specializes in analytics such as grinding, conveyance, storage characteristics and thermal processing properties of solid materials such as oil shale ash. As an example, the laboratory is also able to test oil shale ash to determine physical and chemical properties for its use in the cement industry. UMATAC’s expertise is its experienced staff of engineers and technicians, field operations experience, and the laboratory staff and facilities. For general help questions, comments or feedback about our Website please send us an email. UMATAC is owned by thyssenkrupp and is part of thyssenkrupp Industrial Solutions. All content property of thyssenkrupp Industrial Solutions (Canada) Inc. 2019.